No sooner do I start my Tumblr photo blog, Lunch Time Lens, than I start another one. 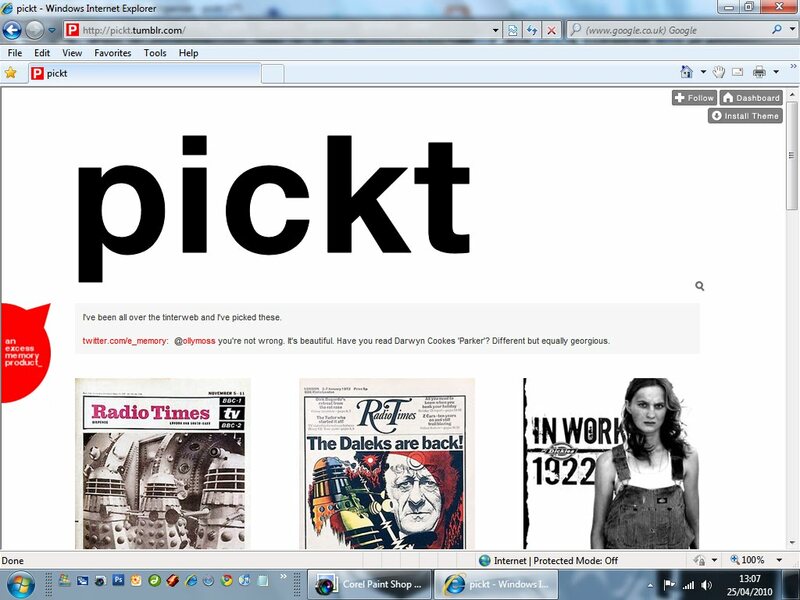 This time called Pickt. This is simply somewhere to deposit all of those images that I come across in my day to day surfing. I can never remembe where I've been and what I've seen so this is where I leave all those images of the things that float my boat. 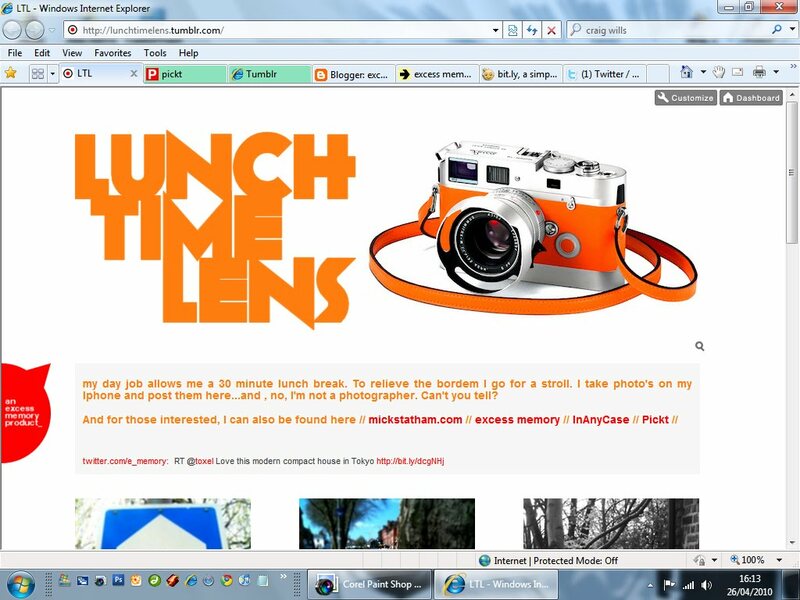 I've also had a bit of an early days revamp of Lunch Time Lens. You know the type of thing, new logo, new template etc. I've known about Tumblr for a while but I've never used the dervice. Having done so I can sayt that It's so easy to use (a little slow sometimes) and I can post straight from my iPhone. I'll never get any work done now. Twenty years ago the Space Shuttle Discovery blasted off from Kennedy Space Centre carrying the Hubble telescope. 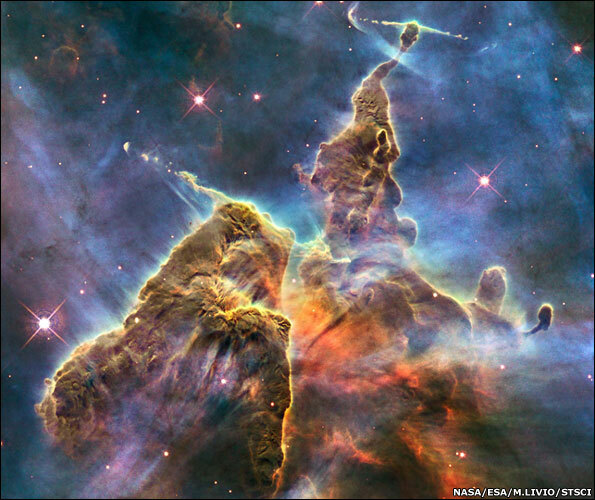 This is one of the latest shots from Hubble, proving that no one does design better than the big guy himself. This is my first week back on the job (oo, er, mrs) and to be frank I'm knackered. But on the bright side I was off today for another blood test (being off is the bright bit). So, after that task was completed early doors, I came back home to start a new project. Yes, as well as my new typography blog InAnyCase, I've started a photography blog over at Tumblr. This week, during my lunch 1/2 hour I've been popping out of the office to stretch my weary legs. It's been such a beautiful week, weather wise, that I thought I'd take a few snaps with the old iPhone. Originally I was goint to post them here via my phone but the Tumbler option is so much more convenient. I'm aiming to take at least a couple of shots a day so if any one is interested, you can see them here. Tumblr will also instantaneously post them to my twitter feed so those that are following will get instant updates. There's also a direct link over in the menu to the right, 'LTL' which stands for LunchTimeLens. After a couple of weeks rredesigning this thing I think I'm just about comfortable with the way it looks and functions. My trouble is that I never know when to stop tinkering. I've also launched InAnyCase today. InAnyCase is my typography blog. There wont be many words (no pun intended) but there will be regular postings on fonts, typographic design and awsome images. If you'd like to drop by the link in the menu is now active. I've posted alot of video on here lately but I saw this last night and had to share it. I was totally unaware of Mr Ross's ambitions as a comic book writter. I knew of his passion for the medium and of his ledgendary comics collection which boasts, reportedly, Detective Comics number twenty seven, Action Comics number one and a vast amount of original art. 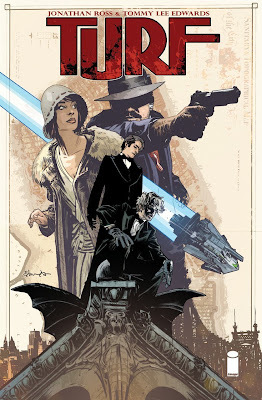 It's clear from this interview on Comic Book Resources that Jonathan is passionate about not just this new endevour of his but about the comic book industry as a whole. I imagine that he could probably answer any question you'd care to throw at him about comics, their history and their creators. 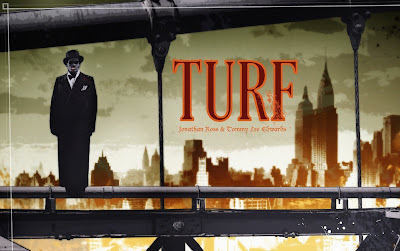 Turf spins a tale of gangsters, vampires and aliens set against a back drop of prohibition era New York. The characterisation is good, considering that this is his first writting endevour. It's gritty, entertaining, irreverent and doesn't take itself too seriously...just like Jonathan himself. His cohort on this new project is Tommy Lee Edwards, himself somewhat of a veteran of the medium. His style suites the story perfectly. Any time that Edwards draws a gangster, I'm on board. 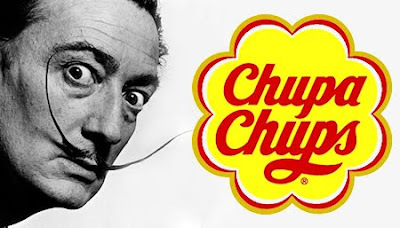 In 1969, according to Printmag, Salvador Dali designed the logo for Chupa Chups lollies (as we call them in Britain). That guy would do anything for a quick buck...I like his style.